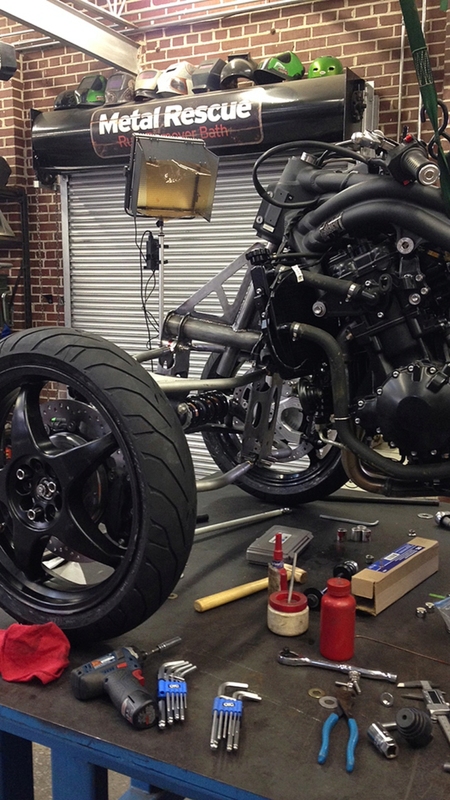 Bryan Fuller is building a three-wheeler Triumph Speed Triple, nicknamed: Triple Speed. Well that’s one way to build a Triumph. What was once a Speed Triple, is now on its way to becoming the Triple Speed. The latest idea from hot rod and cafe builder, Bryan Fuller of Cafe Racer TV and owner of Fuller’s Hot Rods in Atlanta, Georgia. You might recognize his name from our Bike of the Week: Fuller’s Scrambler. A vintage Ducati Scrambler built with a modern dirt-bike stance. 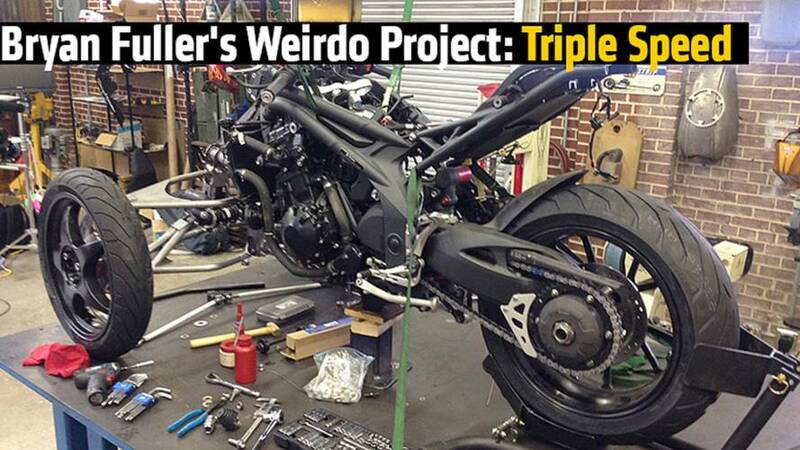 Fuller’s team is used to building weirdo creations and this 2013 Triumph Speed Triple is nothing new. It’s a long time project that’s set to be finished next month. 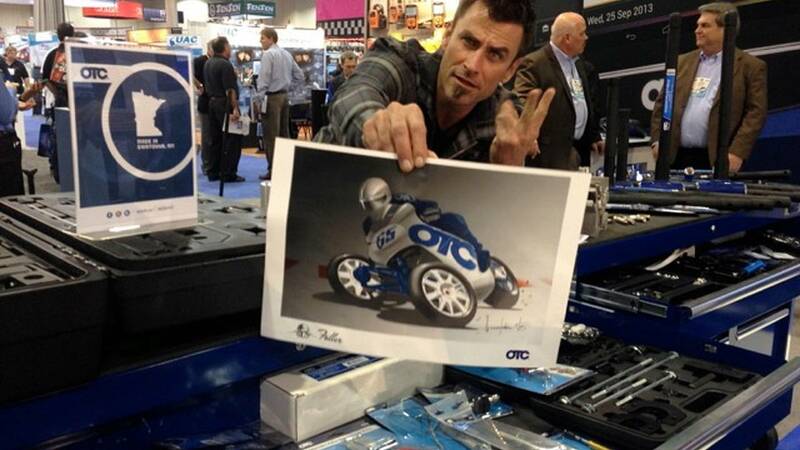 The idea came from a partnership deal with OTC Tools, a division of Bosch. The bike is being built as a promotional device to raise awareness of the lesser-known motorcycle-tool manufacturer, OTC Tools. It’ll be a fully leaning motorcycle when finished. 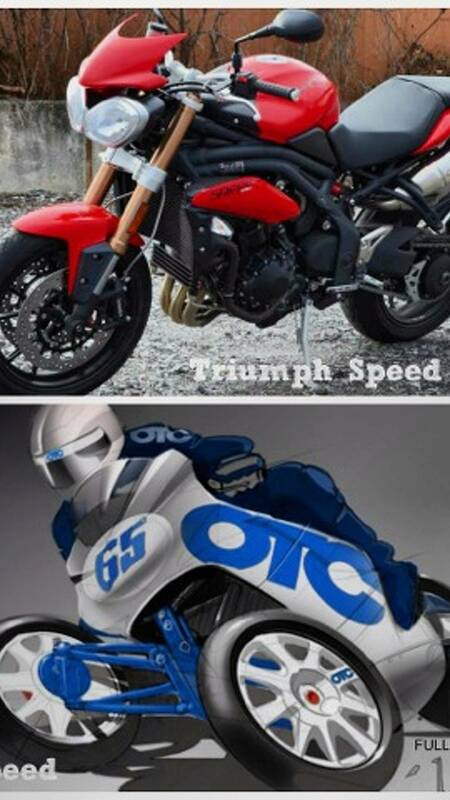 They used a kit from TreMoto who has the patent on leaning three-wheeled sportbikes. Fuller and his team have been adding additional pieces of their own flare along with some fine touches to the included parts. When it’s all done, it’ll have 42 degrees of lean angle and 8 degrees of caster. It’s set up a lot like a car, with upper and lower A-arms, but with coil-over shocks laid on their sides. “There’s all kinds of geometry that changes when you lean and put it through a corner. It’s hard enough with a car, but it’s worse with this,” said Fuller. 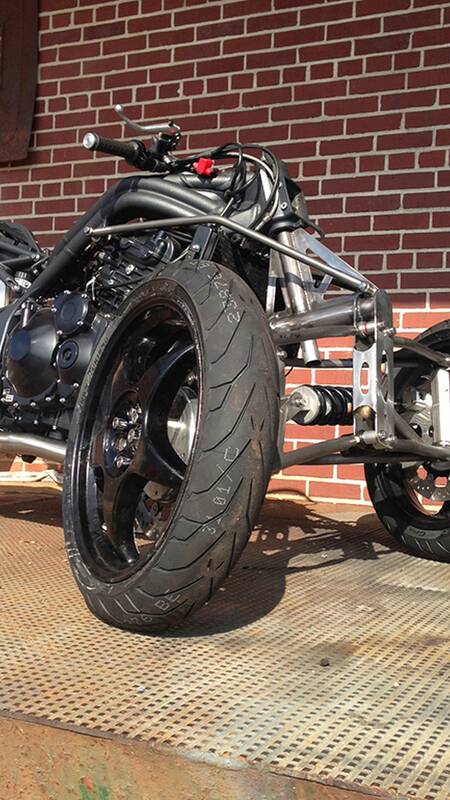 The rear section is mostly factory Triumph Speed Triple, minus some Arrow exhaust. The engine will remain mostly stock as well, minus a K&N filter and ECU tune. The front suspension mates with the frame through the neck and top front motor mount. A smaller diameter steering tube travels down from the bars, through the inside of the neck, the neck mount and down to the rack and pinion. The front wheels are robbed from a Aprilia along with the original Brembo brakes. 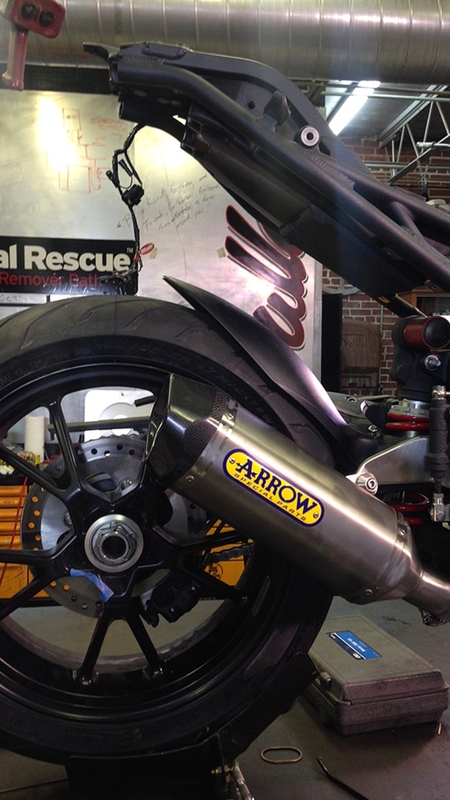 Pirelli Diablo tires handle traction duty. Fuller and team plan to have it running and riding for the 10th Annual Barber Motorsports Park Vintage Festival, October 10th, 2014, in Birmingham, Alabama. There will be some special track time, courtesy of Triumph, shortly after the festival.